This slim volume is a treat to read, and its Continental flair seemed to this reviewer to bring something fresh to topics already covered brilliantly by Alberto Manguel and others. The introduction by novelist James Salter is a paean to the book and the personal library--you can read part of it at the New Yorker’s book blog. Are you bibliophile or a reader? 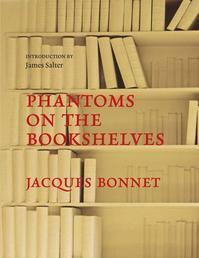 Some people will say yes to both, like Jacques Bonnet, author of the Phantoms on the Bookshelves, published in France in 2008 and now available in English (Overlook Press, hardcover, 133 pages, $17.95). Bonnet makes a distinction between the bibliophile--an obsessive collector hunting for rare and beautiful objects--versus the compulsive reader who wants to keep what he has read. Though Bonnet has a library of 40,000 volumes, he tells us, "I do not count myself a real bibliophile." Of course he is. Bonnet discourses on buying books, reading books, organizing books, annotating books, and lending books (never!). When discussing the future of personal libraries, Bonnet believes that the combination of specialization and digitization will hasten the end of large general collections. He writes, "Bibliophiles will still keep their collections, and libraries devoted to precise topics will survive, but we may be pretty sure that vast and unwieldy personal collections of a few tens of thousands of books are likely to disappear, taking their phantoms with them." This slim volume is a treat to read, and its Continental flair seemed to this reviewer to bring something fresh to topics already covered brilliantly by Alberto Manguel and others. The introduction by novelist James Salter is a paean to the book and the personal library--you can read part of it at the New Yorker's book blog.